After more than 17 years at the helm, Nick Lowe is taking early retirement from Dachser at the end of September to pursue other interests. 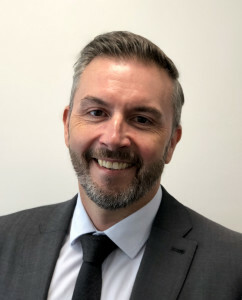 His successor, Mark Rollinson, who has formerly held senior Director positions at Schenker and Allport Cargo Services, began a three month induction and hand-over process on the 2nd July. ‘I’m delighted to be joining Dachser at this time, having witnessed from an external viewpoint the organisation’s successful development and growth in the UK over many years’, explains Mark. ‘I do see an enormous potential for further growth and the introduction and implementation of an ever wider range of logistics services in the future’. Dachser UK increased its annual sales turnover in 2017 by over 15% to £ 76 M, experiencing strong growth in particular in European road freight, contract logistics and value-added-services. 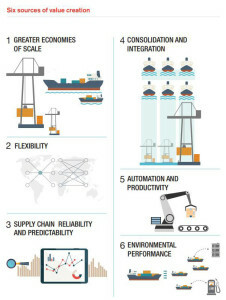 Mark and Nick agree that Brexit, whilst initially having the possibility of creating short-term supply chain disruption depending on what evolves over the next few months, will also present new horizons and opportunities that a company such as Dachser is well-positioned to embrace. Mark Rollinson sums up Dachser’s outlook for the future. ‘Irrespective of the prevailing trade, economic and political contexts we may be faced with, we will continue to support and add value to our customers’ supply chains. At the same time, we will maintain the high levels of service reliability and quality that our customers have come to expect’. 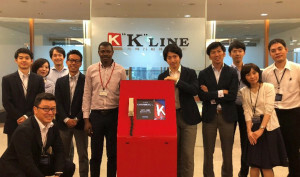 “K” LINE has offered an internship program as part of a “Master’s Degree and Internship Program” of the “African Business Education Initiative for Youth,” also kno wn as the ABE Initiative, sponsored by the Japanese government and its implementing agency, Japan International Cooperation Agency (JICA). 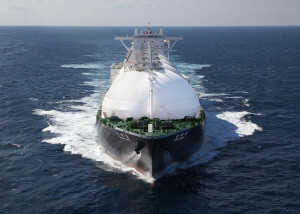 Kawasaki Kisen Kaisha, Ltd. (“K” Line) and Tokyo Century Corporation held naming ceremony for the newly-built liquefied natural gas (LNG) carrier (*1) for JERA Co., Inc. (JERA) at Sakaide Shipyard of Kawasaki Heavy Industries, Ltd. (KHI) yesterday. The new vessel was given her name“ENSHU MARU”by Chairman of the Board of Directors Mr. Akihisa Mizuno of Chubu Electric Power Co., Inc.“ENSHU MARU”comes from the name of an old district in western Shizuoka Prefecture named “Tohtoumi” which is part of the service area of Chubu Electric Power Co., Inc. Under the operation of LNG Marine Transport Ltd.,“ENSHU MARU”will mainly serve the transportation route between Freeport LNG project in United States and Japan after delivery, and is expected to contribute to stable transportation of energy for Japan. (*1) Joint venture company with shares owned by “K” Line and Tokyo Century. (*2) Boil Off Rate (BOR): Ratio of natural vaporized gas against maximum tank capacity to indicate capability of tank heat-insulation system. (*3) Reheat Turbine Plant: Next-generation LNG carrier propulsion plant of high thermal efficiency and high reliability, incorporating the most advanced materials and control　technologies including improvements in steam conditions to raise the thermal efficiency.